What Can We Expect from Hologram Technology in the Future? 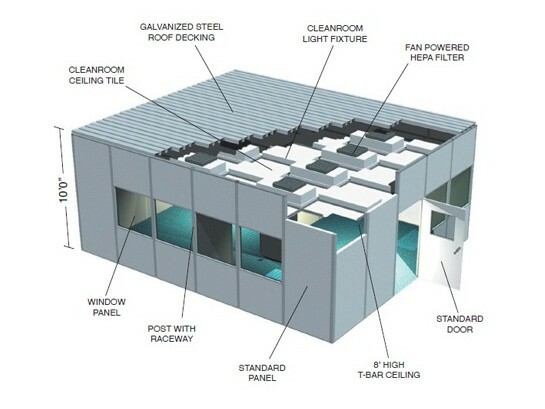 Cleanroom Construction – Abtech, Inc.
Because there are so many different kinds of clean rooms, and because they are used for so many different purposes, clean room construction companies offer a wide range of products and services to accommodate the needs of their customers. Clean room construction companies face the unique challenge of helping their customers meet strict standards of air quality and decontamination within their workspaces. These standards precisely regulate the concentration of contaminants in a confined space, and they can be extremely strict, depending on the application. For example, the US FED STD 209 Class 1 standard limits the concentration of 0.5 micrometer-sized particles in an enclosure to no more than one per cubic foot. Each subsequent step in the scale is a multiple of ten; these numbers correspond to the maximum volume of 0.5 micrometer-sized particles per cubic foot allowed in the clean room. Class 1,000, for example, allows 1,000 particles per cubic foot (normal air would be class 1,000,000). Clean room construction companies must be able to create enclosures and provide equipment that can meet these standards. Different operations require different kinds of clean rooms and clean room equipment. Class 1 clean rooms, for example, are usually host to nanotechnology development operations. Professionals in this industry require very carefully controlled environments, as particulate contamination can damage sensitive instruments and equipment. In order to ensure the sterility of a Class 1 clean room, an array of decontamination air filters, personnel decontamination equipment, and air quality monitoring equipment is necessary. Higher classes, which allow for higher concentrations of particulates, require less complex equipment. While the strictest classes may need to be completely enclosed by permanent walls and equipped with permanent air control equipment, higher-class clean rooms can be built using soft, temporary, or portable walls. 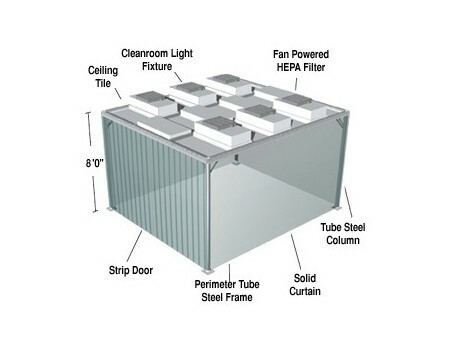 Fabrication of moderately sensitive equipment can take place in such enclosures. Miniature clean rooms can be set up around one machine, allowing for the contaminant-free operation of the machine. Such enclosures are common in semiconductor manufacturing applications. Portable clean rooms can be modular and easily assembled, making them ideal for multi-phase fabrication operations in which a clean room environment is only needed for a short time. Clean room construction companies can offer such products along with assembly services, or they can be designed to be assembled by end-users. >Cleanroom Construction >Clean room construction companies are operations that specialize in the building and supply of clean rooms, their constituent parts, and their related components.